BBC NEWS | Health | Q&A: What is NICE? The National Institute for Health and Clinical Excellence is the body responsible for deciding what medication and treatments should be available on the NHS. As such, its decisions often spark controversy. It is responsible for deciding which drugs and treatments should be available to patients on the NHS. It is also charged with drawing up guidelines for doctors and eliminating the 'postcode lottery' in medical care - where some drugs and treatments are available in some areas but not in others. Since April 2005, it has taken on the added responsibility of producing public health guidance after joining with the Health Development Agency. Decisions by NICE only apply in England and Wales. However, they are sometimes adopted in Scotland. The Department of Health in London decides what treatments and drugs NICE should examine. The institute has looked at a range of medical areas since it was established. These include flu, multiple sclerosis, hip replacements, coronary heart disease and breast and ovarian cancer. NHS trusts and primary care organisations must make money available to fund treatments recommended by NICE. Doctors are expected to follow NICE guidance or to be able to give very good reasons for not doing so. How does it decide which treatments should be available? NICE embarks on a long consultation process before deciding whether treatments should or should not be available to patients on the NHS. It consults the pharmaceutical industry, the medical profession and patients. In August 2002, NICE established a citizens council representing the general public to give its views on its work. NICE makes recommendations on which drugs and treatments should be available to the government. It assesses whether the treatments benefit patients, whether will the NHS to meet key targets like reducing deaths from heart disease and cancer, and whether they are cost-effective. The health secretary may, very occasionally, advice the NHS on how to implement NICE's decisions. By the very nature of its work, NICE was always going to court controversy. It is after all deciding whether patients should get the drugs and treatment many of them believe they need. In promoting equal access to treatments for NHS patients across England and Wales, NICE's work attracts the interests of sometimes very disparate groups - patients, doctors and the pharmaceutical industry. In July 2002, the influential Commons health committee called for NICE's decision making process to be made more transparent and fairer. However, MPs also suggested NICE had been criticised unfairly in some instances and called on the government to be more open about rationing or restricting treatment in the NHS. But they did criticise NICE for failing to make rulings on new drugs quickly enough, leaving many patients and doctors in limbo when hyped drugs come on the market. Assessments take 18 months on average, although some cancer drugs have taken as long as three years to process. Last year, NICE said it would introduce a fast-track procedure by starting to assess certain drugs during the licensing stage, meaning treatments could be appraised within eight weeks of a licence being granted. What decisions have been controversial? Among its controversial decisions, was the ruling in June 2000 not to recommend that beta interferon should be available to every patient with multiple sclerosis. In August 2002, NICE came under fire again, this time over the drug Glivec. It has previously ruled that the drug should only be given to a handful of patients with leukaemia only to change its mind after stinging criticism from patients and doctors. More recently, NICE has been criticised for acting too slowly on decisions over drugs for Alzheimer's disease and bowel cancer. But perhaps the most high-profile assessment NICE has been involved with is over breast cancer drug Herceptin. Draft guidance has recommended it be used to treat patients in the early stages of the disease. This comes after several months of campaigning by charities and patients over the so-called wonder drug. 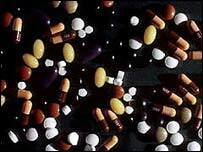 Several NHS trusts have been threatened with court action for refusing to fund the drug.